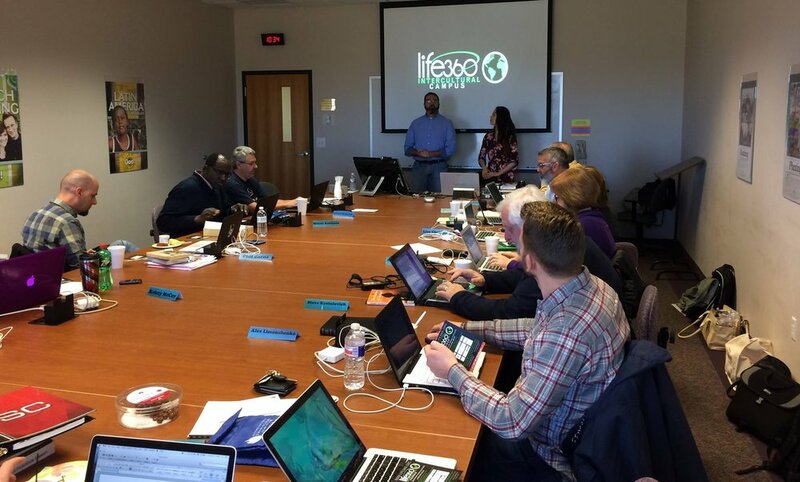 In 2015, Life360 Intercultural Campus was launched to serve growing ethnic demographics in Southwest, MO. We are a CROSS-GENERATIONAL church led by a diverse LEADERSHIP team as in Acts 2. Our DINNER CHURCH intentionally meets on Saturdays to foster a welcoming place for people-oriented fellowship, multilingual worship, and Christ-centered discipleship. We strive to demonstrate Christ's love all nations daily. As VOLUNTEER POLICE CHAPLAINS, we support the officers and their families while serving as pastors to our community. We also partner with state university, multicultural organizations, refugee agency, ethnic churches, and the local news channels to work collaboratively toward building a welcoming city. Investing in the next generation by sharing our ministry experiences is our passion! We equip others to live, build, and multiply Kingdom-culture as schools, churches, conferences, and various community events. Every work we do is intentional including parenting, pastoring, and engaging in community. God has placed us in various positions of leadership that has both local and national impact. As we remain faithful to His calling, we pray He will expand our influence even globally for His Kingdom sake. Please pray for God's wisdom and anointing as we live and lead missionally!